MTN YouTube Hourly Plans is not new to us, and few days Ago I was able to give you all the details you need to know about the New Revamped MTN YouTube Packs where subscribe will be able to subscribe to a particular YoutYou Pack and Stream for a specific period of time. Suitable for those Who loves to watch YouTube videos and enjoyable more if we can be able to use tgese Youtube packs to power up all apps (Apks) on our Android device. The MTN YouTube Pack is specifically meant for video streaming for YouTube but nevertheless I will show you all how to power up your Packs hourly plans with a special VPN. 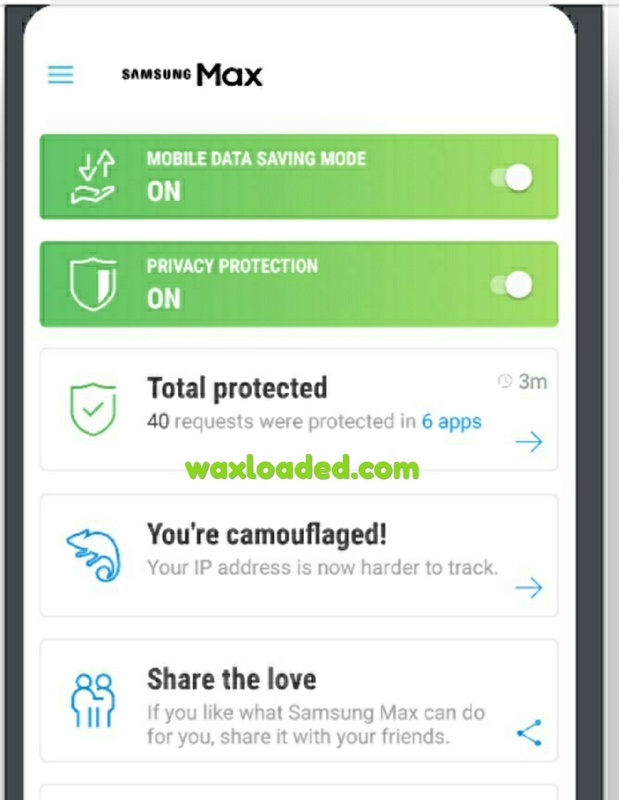 This VPN unlike every other VPN is available for download on Google play store therefore it is free and Downloadable to everyone and compactible to android version 5.0+ upward. 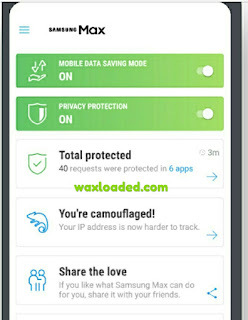 There will be no extra settings required for this VPN to work which allows you to get more secured surfing online and your data is encrypted. 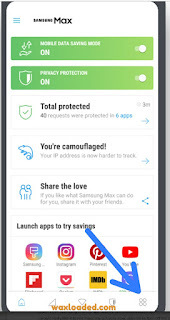 The VPN (virtual private network) known as SAMSUNG MAX VPN is The most efficient way to stretch your data plan and save the money you spend on data. Track and control your apps’ data consumption on mobile and Wi-Fi, or easily block background data, and data access for any app. Samsung Max advises you when apps consume aggressive amounts of background data, and gives you control to allow or block access. ● The count down will start then you are required to remove the count down to give you access to premium servers as the count down denied you access to enjoy fast internet browsing. Keep flex and Enjoy MTN YouTube Pack with Samsung Max VPN and Power up all your apps with the YouTube pack instead of only access to YouTube streaming with the pack bundle..
Keep visiting for up to date Free browsing tweaks just For You.